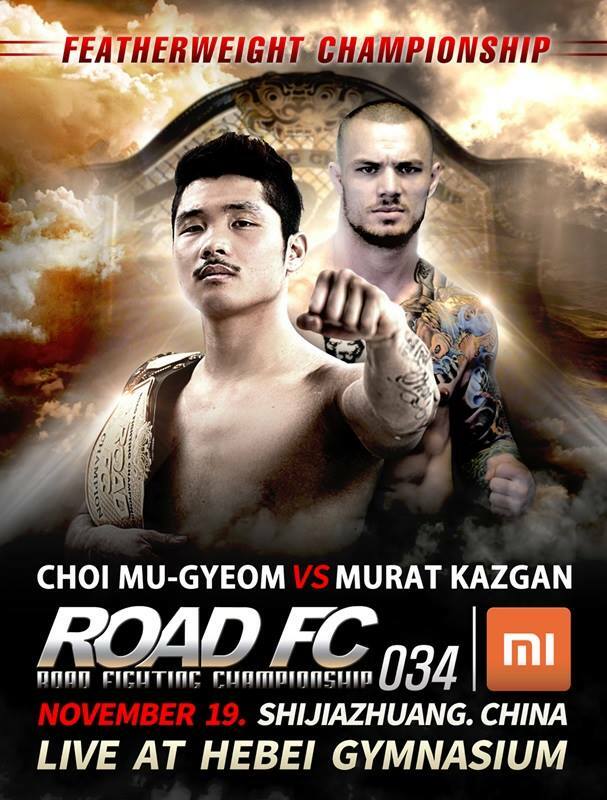 Headlining Xiaomi ROAD FC 034, ROAD FC Featherweight Champion Choi Mu-Gyeom will make his third title defense against Turkish sensation Murat Kazgan. 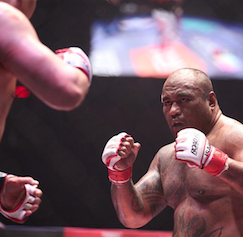 And, China’s beloved behemoth Aorigele will be back in action against Japan’s warhorse Kawaguchi Yusuke. Plus, Yan Xiaonan and Fujino Emi will make it a slugfest between two of the most brutal cross-continental female fighters in Asia. Bruno Miranda will look for a rebound versus Kim Seung-Yeon. China’s rising Song Kenan will take on powerful Russian Elnur Agaev in an unpredictable battle. In an Openweight bang up, two countries’ national champion wrestlers will meet in MMA as China’s Hou Zhenlin faces Korea’s Shim Gun-Oh. 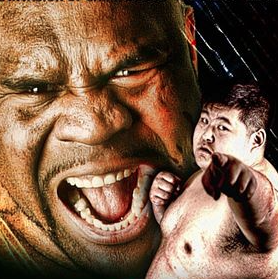 China’s Strongman Champion Zhang Jianjun will take on Korean tough guy Kim Dae-Sung in another massive 100kgs match. Plus, two of the top flyweights in the division, Alatengheili and Jo Nam-Jin, will meet in match to determine the next Flyweight title contender. 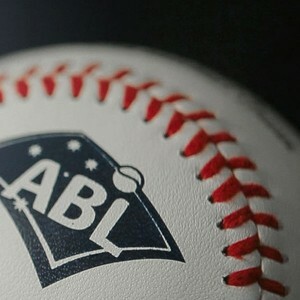 Opening the Main card, China’s Dong Xin and Korea’s La In-Jae will put on an exciting striker’s showcase. Also on Xiaomi ROAD FC 034, the China Trials will be held for the 2017 ROAD FC $1 Million Lightweight Tournament. 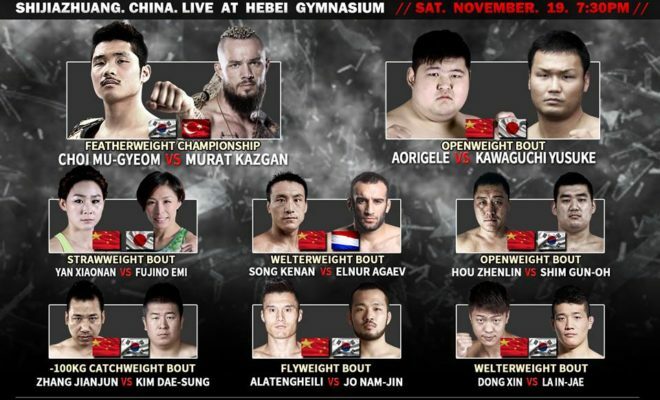 Eight veteran and up and coming fighters from the China region will contest for 4 seeded positions in the tournament. New Wave MMA ROAD FC is the stage where legends shine, rookies thrill, and epic battles are waged that determine the future of MMA. From the pageantry of the grand entrance to the final crunch of the KO, ROAD FC showcases the very best of Mixed Martial Arts sports and entertainment!